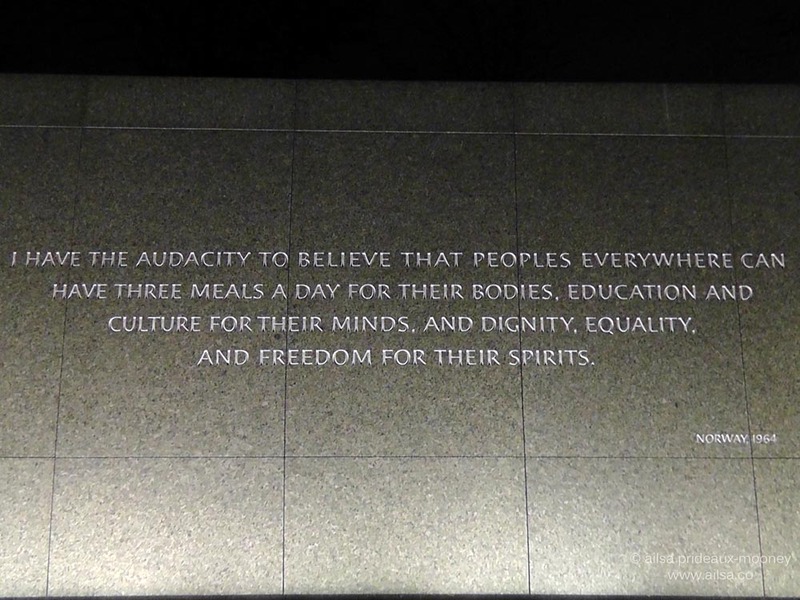 Martin Luther King, Jr. Memorial | Where's my backpack? 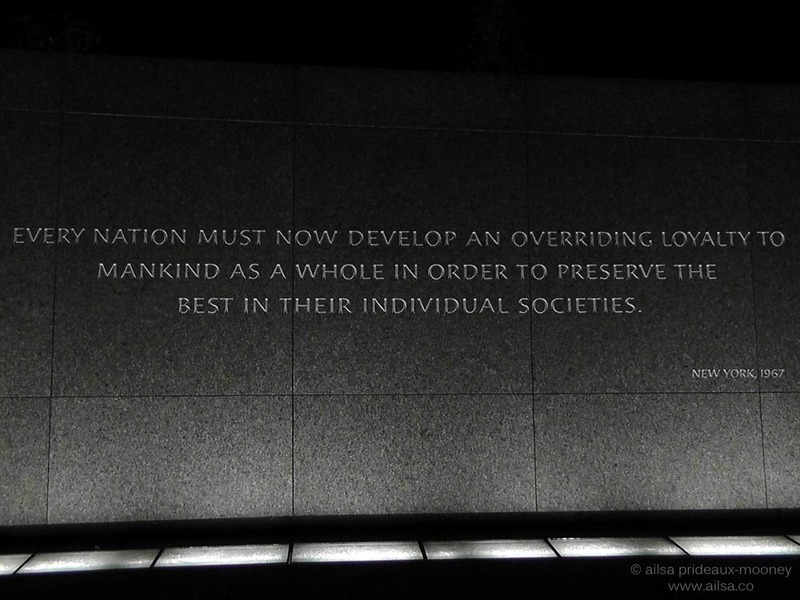 In honour of Martin Luther King Day, I thought I’d post a few photos from my visit to his memorial in Washington DC on a hot summer evening last year. 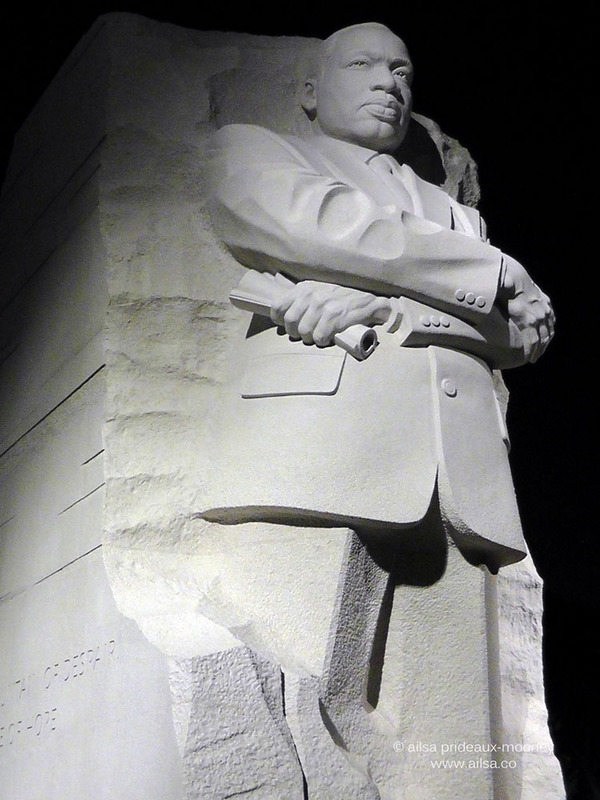 The granite from which the statue of Martin Luther King emerges is said to represent the determination of a generation to achieve a fair and honest society. Seventeen of Dr. King’s quotes are etched into the gracefully curved walls around the memorial and his words still ring true today. 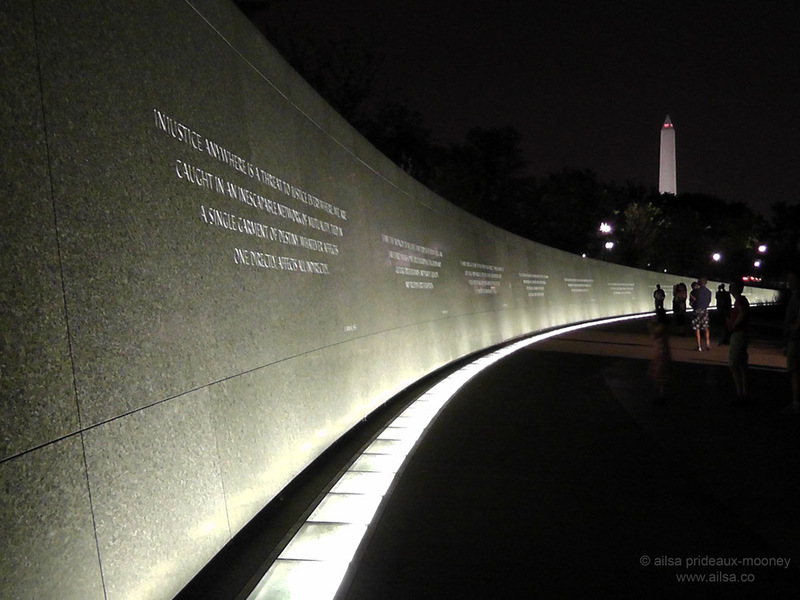 The memorial, which opened to the public on August 22nd 2011, is free to visit and open 24 hours a day. The nearest Metro station is Smithsonian, which is about a 10-15 minute walk away. The memorial’s official address, 1964 Independence Avenue SW, was chosen to commemorate the Civil Rights Act of 1964. More on my DC trip here and here. This entry was posted in District of Columbia, Photography, Travel, United States and tagged inspiration, photography, photos, pictures, travel. Bookmark the permalink. Beautiful photos …. powerful man … powerful words and stunning memorial – you have really made it justice here. Of course I will do … but DC have never been on my bucket list … yet! It’s an extraordinary place, viveka, so much to see and do. Avoid summer, though, unless you enjoy scorching temperatures and insane humidity! Thanks, had that last year in Chicago .. I have been thinking about DC lately – after seen so many TV series with DC as location, it’s winning me over. So much to see .. so little time and most of the money. Okay … just like Chicago. One of the reason why I love it so much – I will put it on my list. *smile – thanks for convincing me. It really is a lovely memorial, Mitchell. Were the cherry blossoms in bloom when you visited? I was there right at the end of the peak. It was like a different world. It’s really impressive up close, Mark – it’s called the Stone of Hope and was sculpted by the Chinese sculptor Lei Yixin. Thank you for remembering – and celebrating – such a wonderful American holiday!! Thanks for posting. Put tears in my eyes. Simply inspiring … thank you for sharing these photos. Great post. We sure can use a reminder of his words these days. I wonder how his life would have played out; I’m sure he would have been a major player on the world stage. I can’t believe he was only 39 when he was assassinated and am sad I never knew a world with him in it. Great quotes! Thank you so much, Ailsa! I haven’t been to this Memorial yet. I was so close the last time i was there but didn’t go. After seeing these images I know I will go next time. Reblogged this on Isa Ibrahim. What a fabulous place to visit, very inspiring. I love the 3 meals a day quote, we should all believe that for everybody. I have not been to see the monument yet … thanks for the introduction! 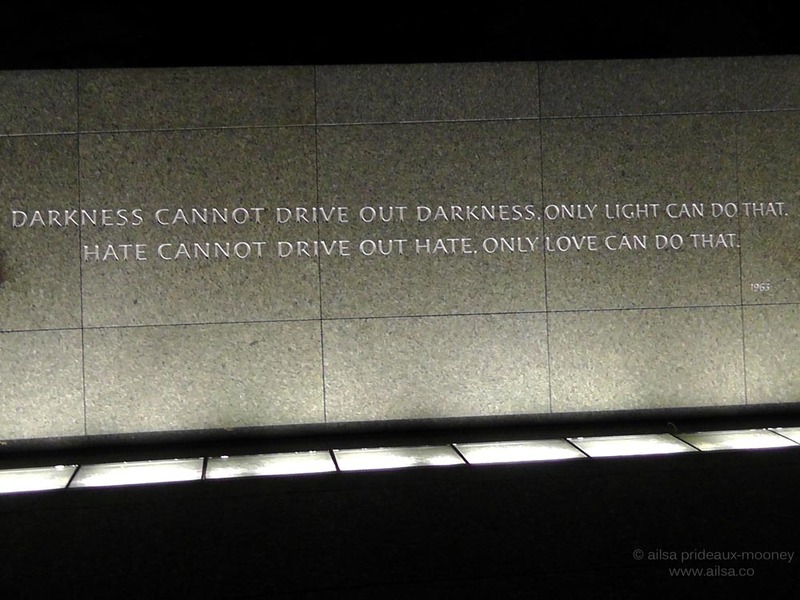 I know I am a couple of days late, but here is a great visual of the Martin Luther King Jr. memorial with the wonder of his words. Inspiring. Great post. Beautiful words. Great post. He’s such an inspiration! What a fantastic memorial. Such an inspirational man. If only more people thought like he did.